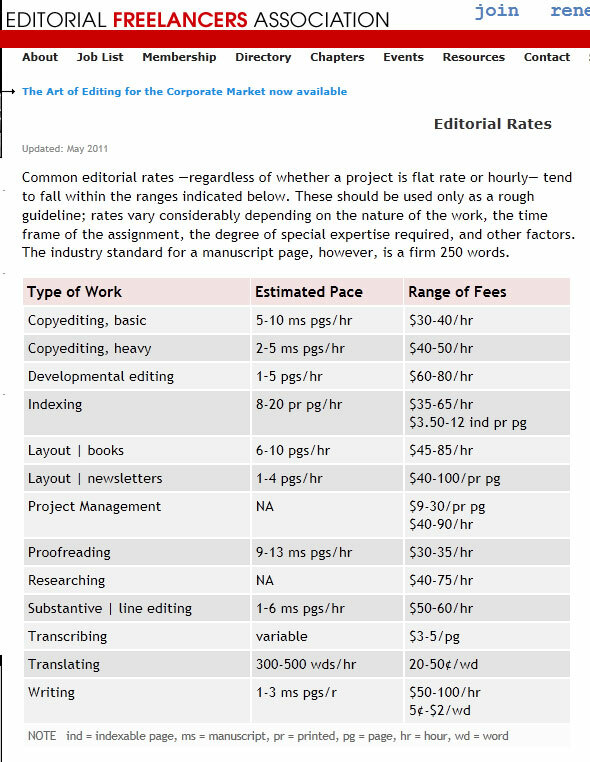 This comes from the Editorial Freelancers Association. Thanks to PG and Maril Hazlett for the link. Thanks! 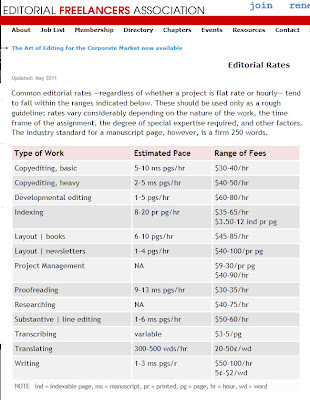 I've been reading all I can about editorial rates and it seems to vary widely. 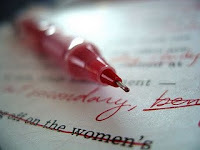 Some line editors charge as little as $300 per manuscript -- editors who have bestselling authors vouching for them -- and, of course, some charges as much as 3 or 4 thousand.